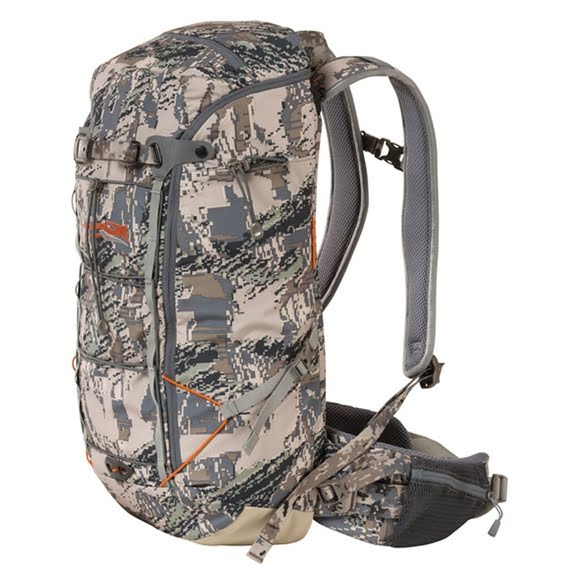 The Sitka Gear Ascent 12 is a stripped-down, dialed-in daypack for moving fast, this panel loader opens into a 1,200 cubic inch main compartment, complete with hydration bladder sleeve and suspension hook. Three zippered mesh pockets inside the front panel organize your necessities, while external bungie compression doubles as additional storage. The Sitka Gear Ascent 12 is a stripped-down, dialed-in daypack for moving fast, this panel loader opens into a 1,200 cubic inch main compartment, complete with hydration bladder sleeve and suspension hook. Three zippered mesh pockets inside the front panel organize your necessities, while external bungie compression doubles as additional storage. A new lightweight toggle bow suspension system quickly secures your weapon. 100% Double Weave Polyester with PU coating. Fabric 100% Double Weave Polyester with PU coating.